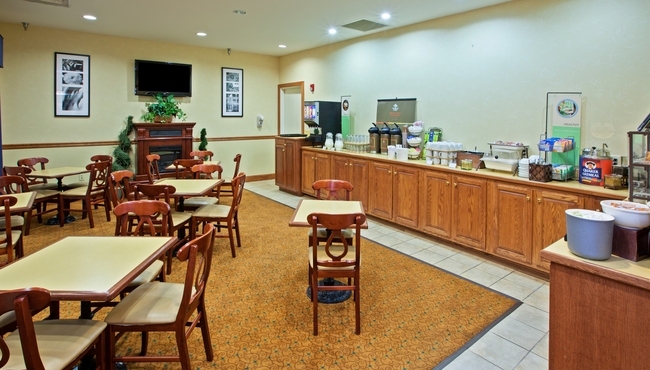 Before heading to downtown Knoxville, fill up with tasty selections from the complimentary breakfast spread at the Country Inn & Suites, Knoxville West, TN. Savor homemade Belgian waffles smothered in syrup, or fill your plate with fluffy eggs and crispy bacon. Prefer lighter fare? Peruse our selection of fresh fruit, yogurt and cereal. Enjoy a delicious lunch or dinner at one of the nearby restaurants, including Nick & J’s Cafe or Parkside Grill.